Android is one of the Most Popular Operating System which has Huge amount of Application on Android Market. Weather you want to buy Tablet or Smartphone, Android OS is the best choice for User. There are Huge amounts of games, smart Application and much more of fun. When you Install any game or application files are being downloaded to your phone and once you get bored you will be uninstalling that game or app but some files will remain in your device which will form cluster and will be using your storage space unnecessarily. 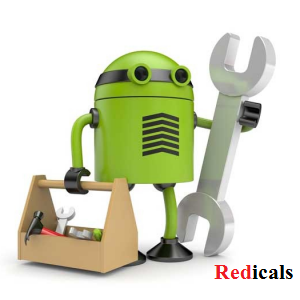 So here are some of the Important app which are necessary to clean your android device. Clean Master is an all-in-one cleaner app on android for cleaning app cache , unused files, residual files, search history and uninstalling apps. With this apps user can also Kill running Tasks and releases more RAM to boost your phone performance and save battery life. History eraser for android device, and it can clean history of apps by only one tap. It’s similar to the “ccleaner” on PC. It can help you to protect your privacy, and it can also help you to free up the internal storage. History Eraser has features like Clear Browser History, Clear Call Log, Clear text messages, Clear all app cache files etc. Startup Manager aims at helping disable/enable startup items from system boot for Android devices including smartphones and tablets. To disable an item from system startup, uncheck the application from the list.